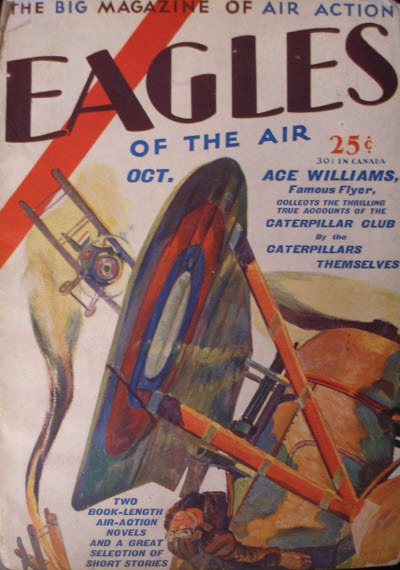 9 · Wings of Treachery [Part 1 of 3] · John Gerard · n.
83 · Adventures of the Caterpillar Club · Ace Williams · cl; given as Ace Williams Collects the True Adventures of the Caterpillar Club. 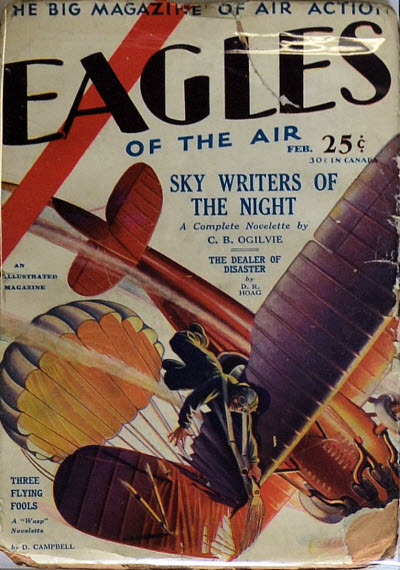 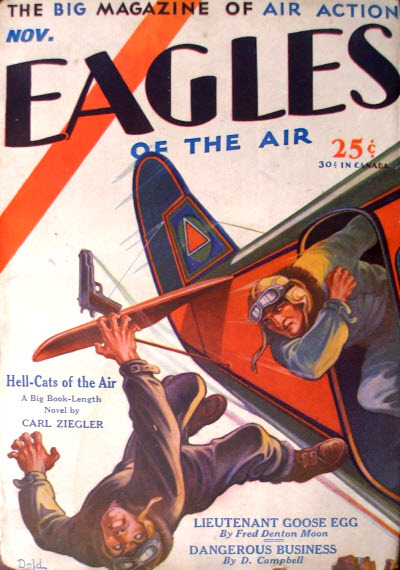 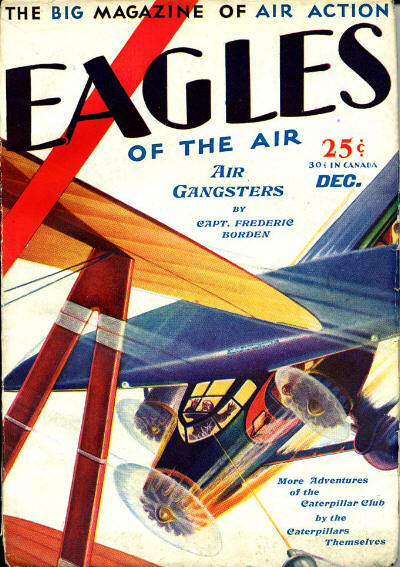 347 · Wings of Treachery [Part 2 of 3] · John Gerard · n.
491 · Air Gangsters [Part 1 of 4] · Captain Frederic Borden · n.
556 · Wings of Treachery [Part 3 of 3] · John Gerard · n.
644 · Air Gangsters [Part 2 of 4] · Captain Frederic Borden · n.
143 · Air Gangsters [Part 3 of 4] · Frederic V. Borden · n.
429 · Air Gangsters [Part 4 of 4] · Frederic V. Borden · n.
79 · Buzzards Brood [Part 2 of 2] · Alexis Rossoff · iw; announced as a three-part serial but the magazine folded before publishing the final part. 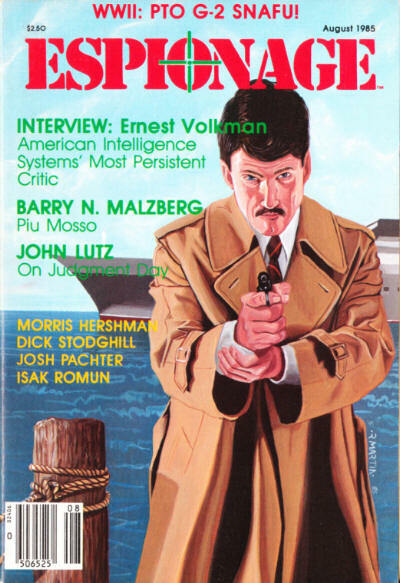 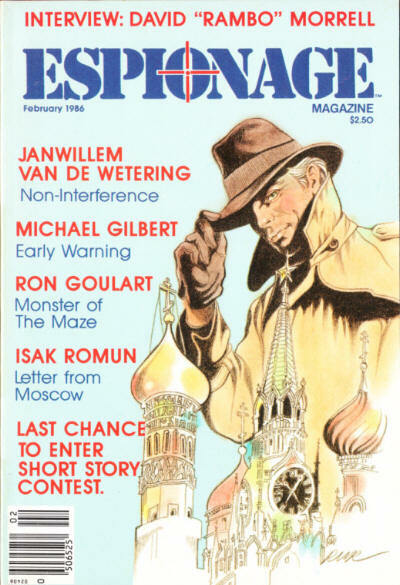 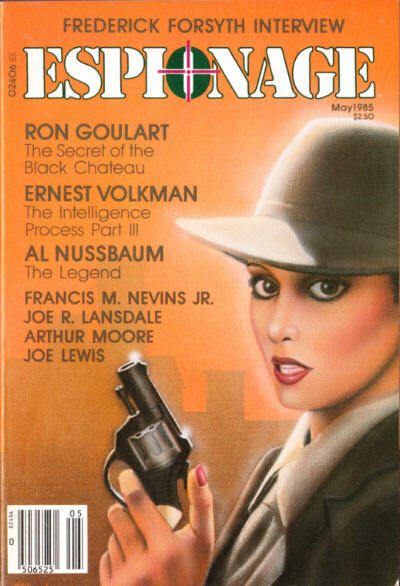 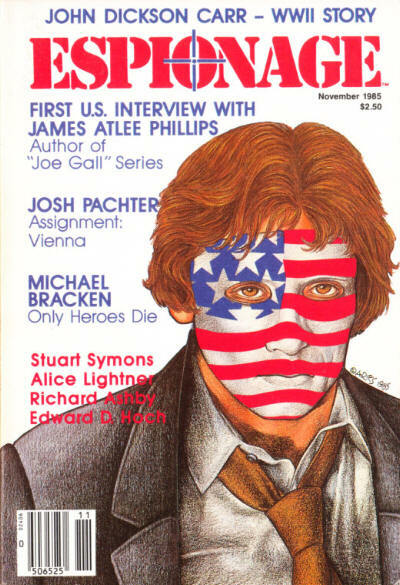 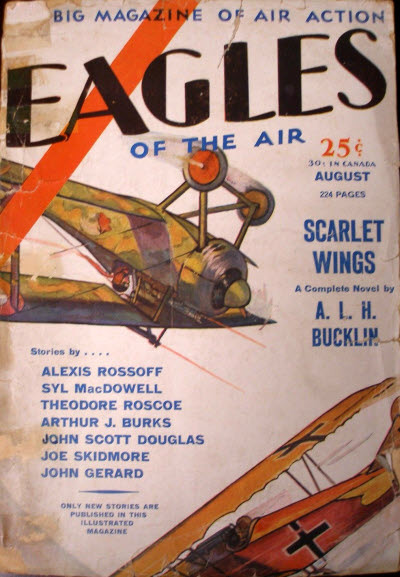 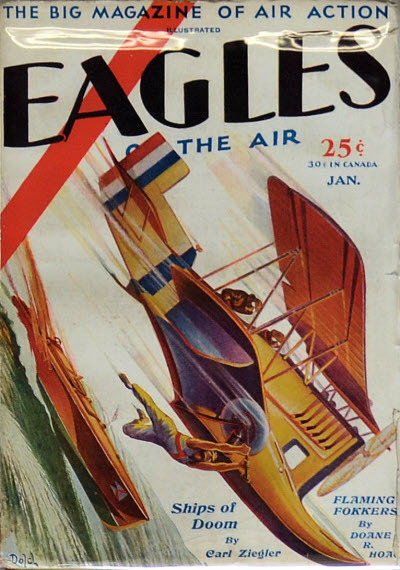 189 · Wings in the Balkans [Part 2 of 2] · John Gerard · iw; announced as a three-part serial but the magazine folded before publishing the final part. 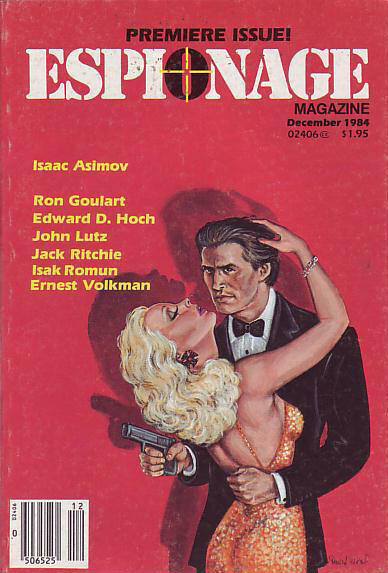 16 · The Queen and King · Isaac Asimov · ss; given as The Queen & King in the Table of Contents. 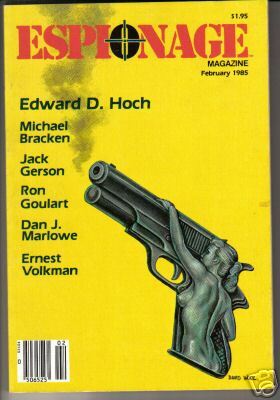 69 · Menace in Wax · John Dickson Carr · pl Speak of the Devil 1985; first broadcast on the CBS radio show Suspense, November 17, 1942.